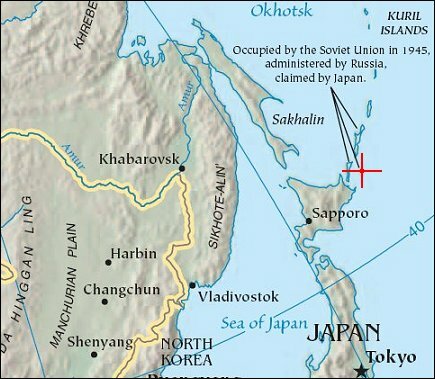 Ostrov Shikotan (or Shikotan-to) is a volcanic island at the southern end of the Kuril chain (Russia). At about 43 degrees North - more than halfway to the Equator - Shikotan lies along the extreme southern edge of winter sea ice in the Northern Hemisphere. This photo of Shikotan has been captured on February 14, 2011. 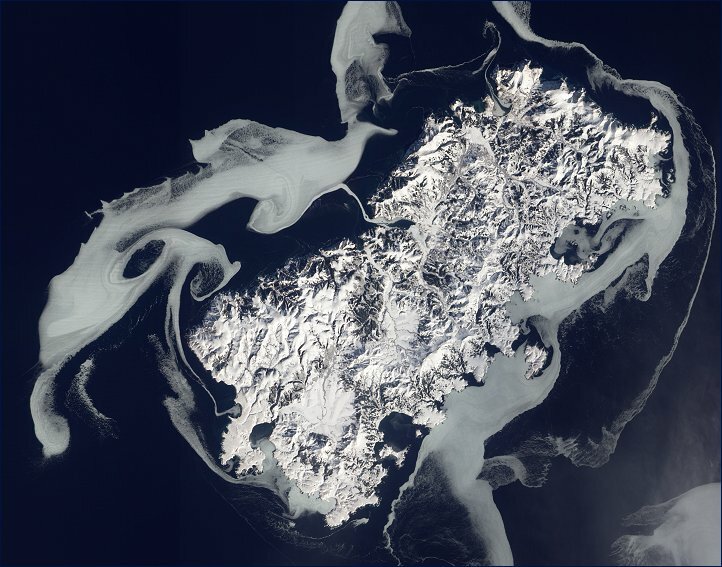 The island is surrounded by sea ice - swirling shapes of ghostly blue-gray. Although sea ice often forms around Shikotan, the extent varies widely from year to year, and even day to day. The ice in this image may have formed in a matter of several days, and it is prone to moving with currents. North of the western end of Shikotan, eddies have shaped the ice into rough circles. The eddies may result from opposing winds - winds from the north pushing the ice southward, and winds from the southwest pushing the ice toward the northeast. Uneven snow cover exaggerates the island’s rugged appearance. Multiple forces have shaped Shikotan over millions of years. Geologic studies indicate that it has been battered by multiple tsunamis, although wind, rain, and tectonic forces likely play a greater role in shaping the surface. Part of the Pacific Ring of Fire, the island is seismically active.